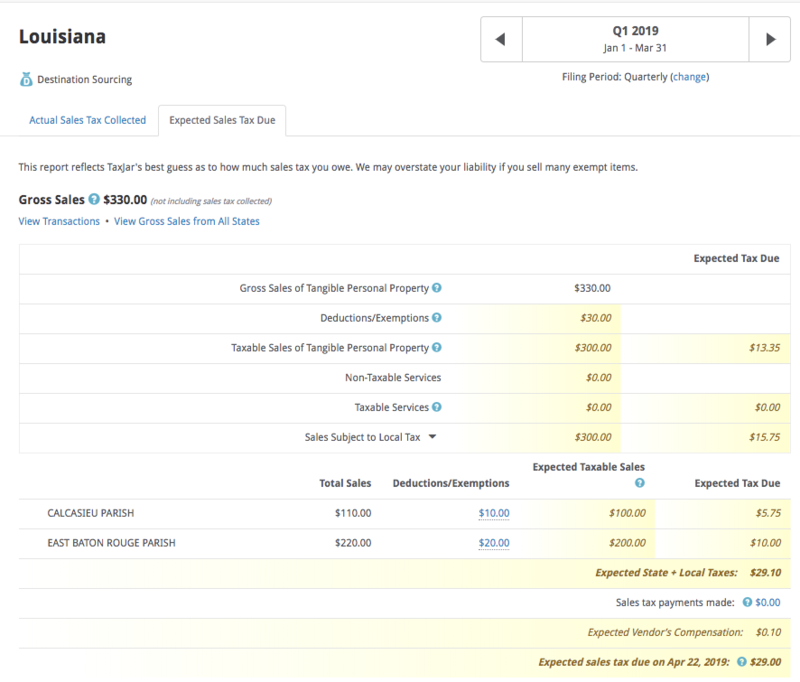 We've made some updates to the Louisiana Sales Tax Report in your TaxJar account to make it easier to file your Parish Tax returns. 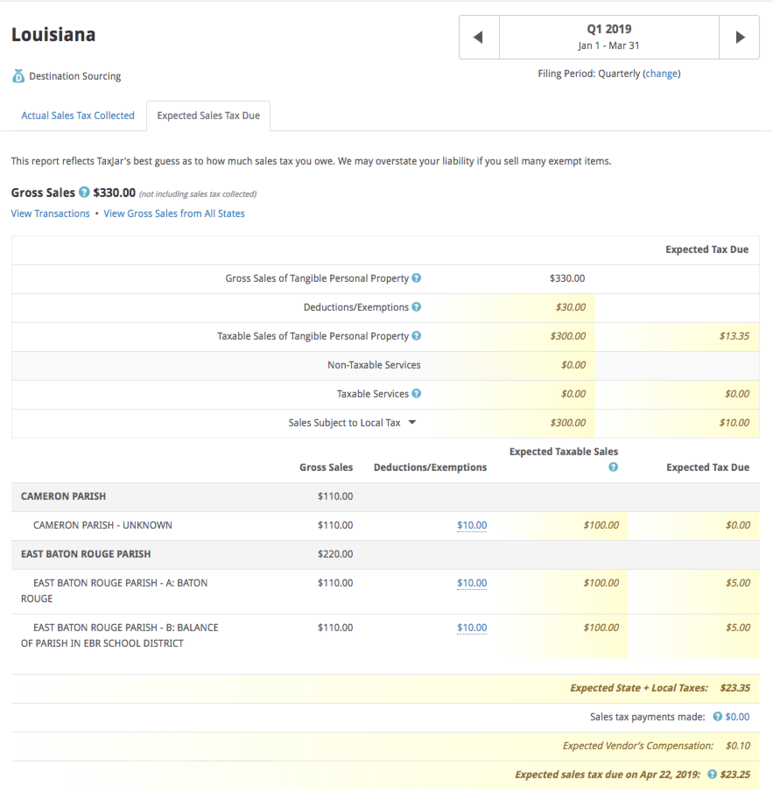 Shipping deductions are reported at both the state and Parish (jurisdiction) level, so we've added details to clarify where the shipping amount should be deducted in the state return. We've also added a column to break down the total shipping amount by Parish so that you can deduct those amounts for the Parish filings.